When calculating the rating, reference to the regions of the Russian Federation in the context of the National rating of the investment climate in the subjects of the Russian Federation was also taken into account. "Last year, we directed our efforts to create attractive and comfortable conditions in the Primorsky territory for doing business. In addition to those tools that are already working – these are the territories of advanced development and the free port of Vladivostok – we are launching new ones," said the acting Vice – Governor of Primorye, Konstantin Bogdanenko. 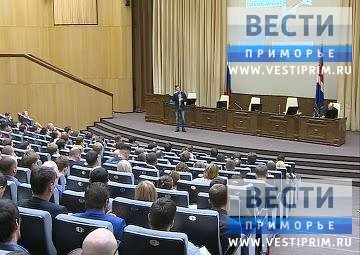 Thus, tax benefits were approved for new companies that will create processing plants in Primorye, waste disposal enterprises, will eliminate the consequences of pollution, will develop computer software, will start working in the field of information technology or in the field of culture. To support small and medium-sized businesses, a regional microfinance organization is being created, which will provide loans to entrepreneurs on preferential terms. Co-working and prototyping Center will be opened in "My business" center till the end of the year, where young companies will be able to create the first samples of their products.